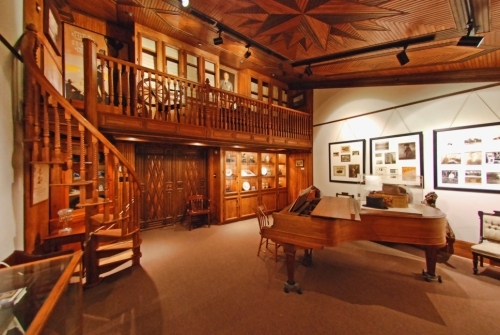 Located at the back of the Festival Concert Hall, the David W. Guion Museum Room is a permanent exhibition of Round Top Festival Institute. This important collection displays American furniture, china, porcelain, glass, paintings, music and archives of the Texas composer, David W. Guion. The exhibit traces the life and career of David W. Guion from his birth in Ballinger, Texas in 1892 to his death in Dallas in 1981. The collection was transferred to the Institute in 1981. The David W. Guion Museum Room was dedicated on July 4, 1987.